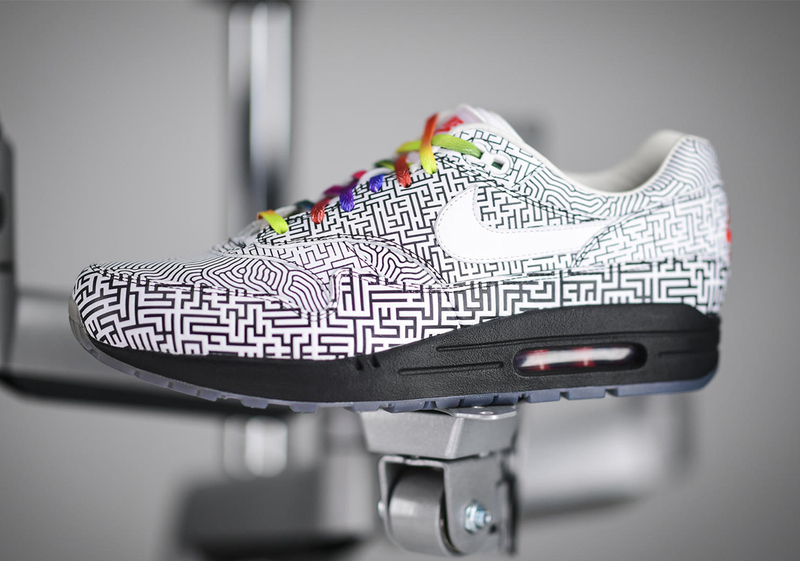 Back in 2018, hundreds of participants descended upon Nike’s On Air workshops in six of the world’s biggest footwear metropolises — New York City, London, Paris, Seoul, Shanghai and Tokyo — to conceptualize Air Max designs inspired by their hometowns, communities, and local culture. Out of the hundreds that attended and created, one representative from each city was chosen to come to Beaverton and work alongside Nike’s design team to bring their ideas to life. 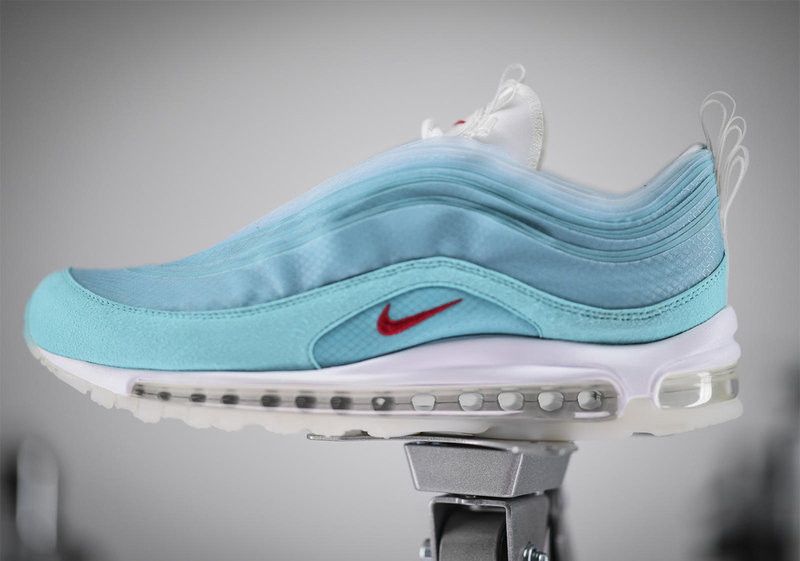 We’ve seen sketches, drafts, and samples of the half dozen homage packed shoes — but today, the final version of each was revealed. 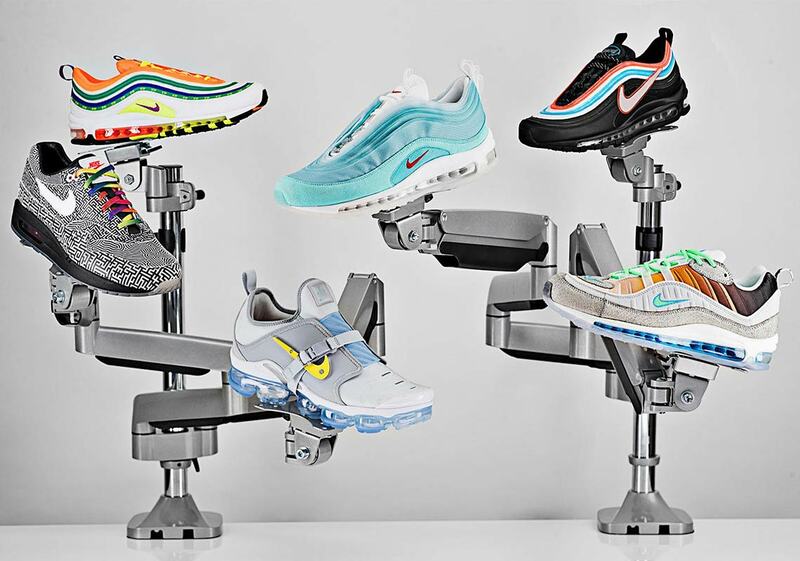 From Gabrielle Serrano’s “La Mezcla”-inspired Air Max 98 from New York to Cash Ru’s “Kaleidoscope” Air Max 97s from Shanghai, each design presents an important part the creator’s city in a unique and eye-catching way. 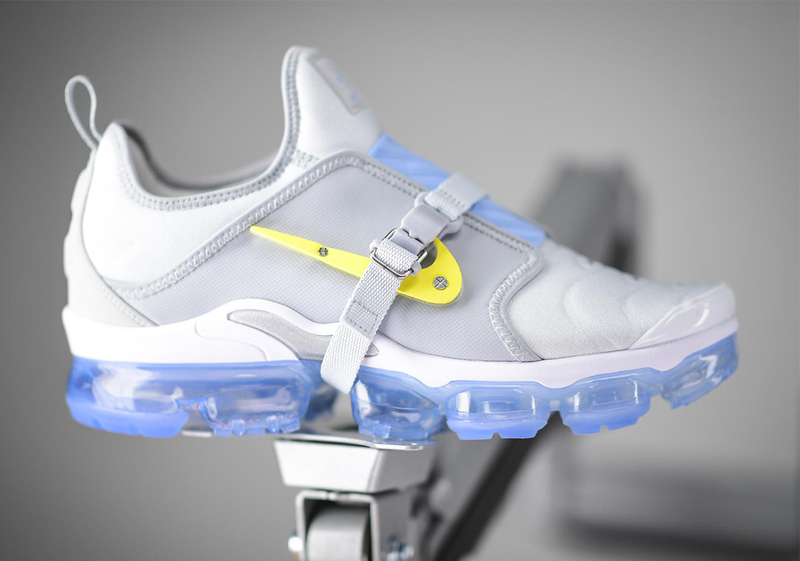 Check a gallery of images and inspirations for each shoe below, and expect the On Air pack to begin releasing this April. 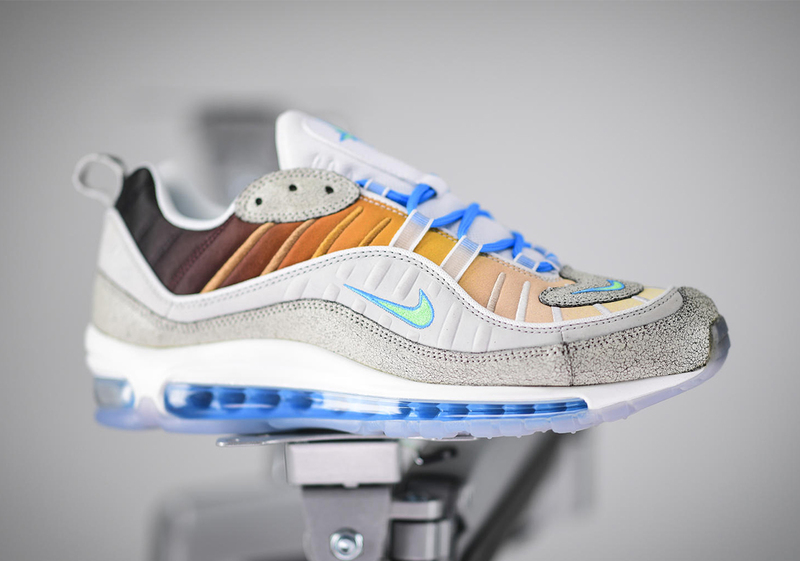 Serrano’s Nike Air Max 98 La Mezcla represents the diverse complexions of NYC that combine race,ethnicity, and cultural background, highlighting what makes the city special: its people. 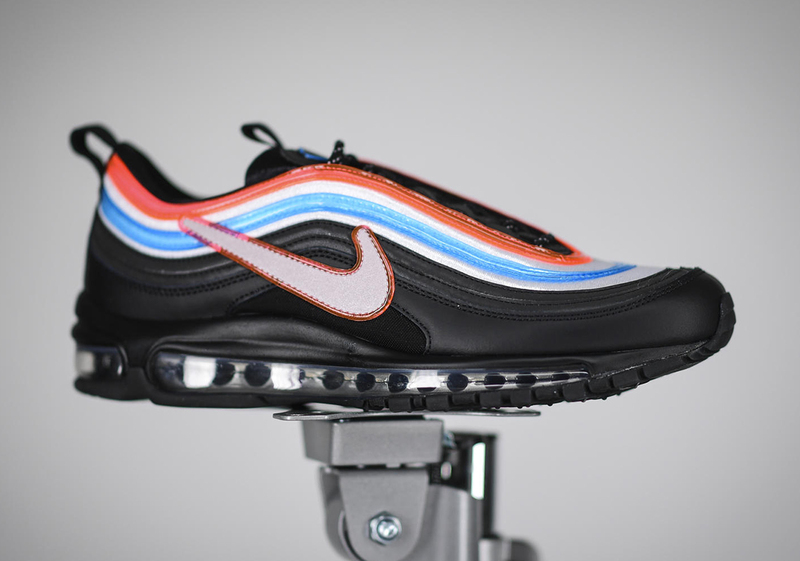 Shin’s Nike Air Max 97 Neon Seoul is inspired by his city’s neon signs, complete with a matte black body, vibrant colors and contours inspired by the Taeguk symbol on Seoul’s flag. 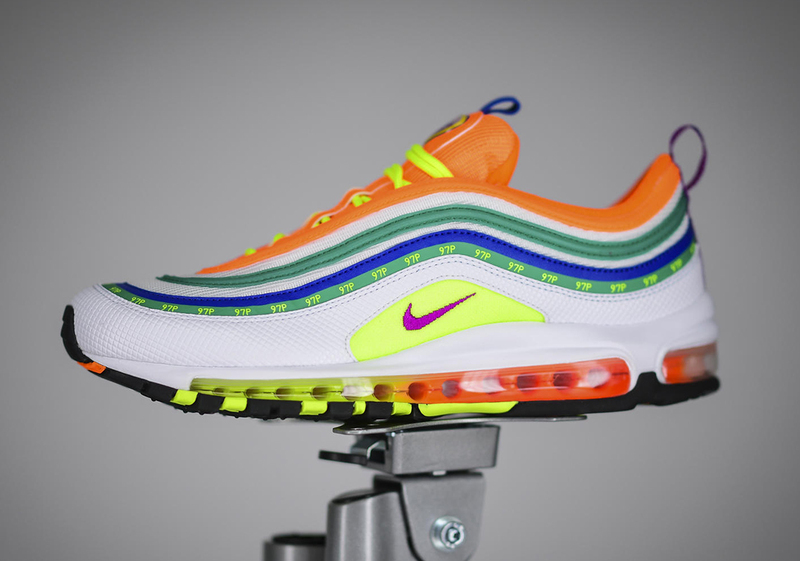 Lasode’s Nike Air Max 97 London Summer of Love celebrates summer in the city and love, with a personal memory — a first date spent on Primrose Hill — as her inspiration.